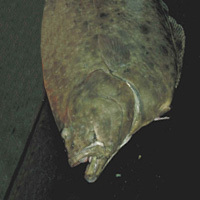 Pacific halibut is said to resemble the right-eye flounder but in order of size it is indistinguishable. Compared to righteye flounder, it is lower in fat content. It is often found in revolving sushi restaurants. Fried halibut is said to be delicious to say the least. The calories in Pacific Halibut per 120g(1fillet) is 120 calories. Pacific Halibut is calculated to be 100Cal per 100 grams making 80Cal equivalent to 80g with 23.88g of mostly protein、2.04g of fat、0.12g of carbohydrates in 120g while being rich in vitamins and minerals such as Vitamin B12 and Niacin.